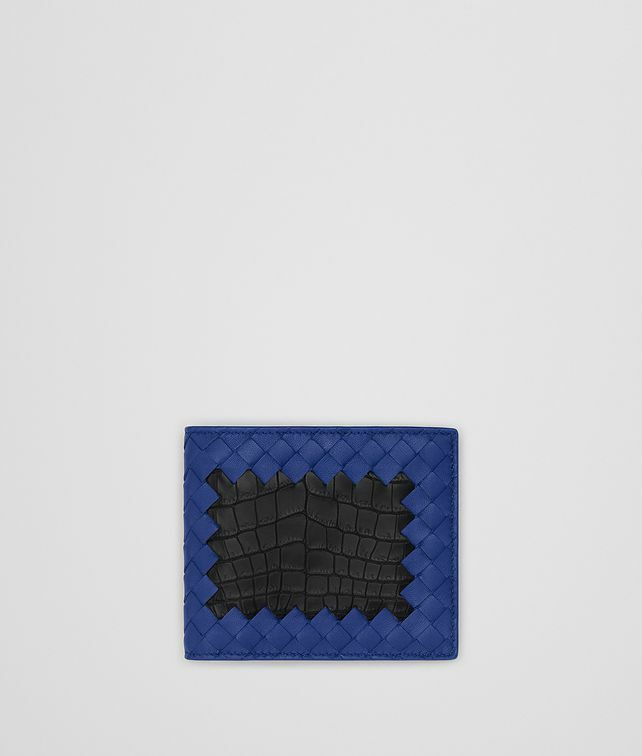 Bi-fold wallet featuring a striking combination of intrecciato nappa with an inset of crocodile on the front. The matte finish of the intrecciato enhances the natural shine of the exotic skin for a luxurious finish. The classic design features 8 credit card slots and 4 compartments for organizing bills and receipts.